Browse the latest new homes by Jones Homes nationwide. 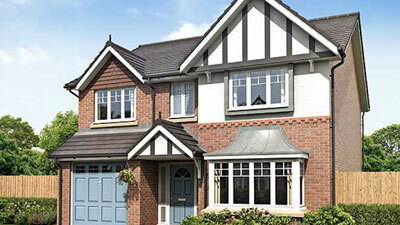 ​Jones Homes has been building new homes in desirable areas across the UK since 1959. It is a founding member of The Emerson Group, a family-owned development company based in Cheshire. The housebuilder now has four divisions which reflect the areas in which it builds: North West, based in Alderley Edge, Cheshire; Lancashire, based in Lytham St Anne; Yorkshire, based in Bradford; Southern, based in Swanley, Kent. It builds around 600 new homes each year, with an impressive range of sizes and styles, designed to appeal to every kind of house-hunter, from apartments to townhouses and detached homes. The company offers the Help to Buy scheme and Part Exchange on many of its developments in order to assist buyers purchase their dream home. The company also gives buyers the chance to personalise their new home, providing a range of options on different aspects, including flooring, kitchen finishes and audio-visual systems. Jones Homes holds a four-star rating on customer satisfaction from the Home Builders Federation, and in 2017, one of its site managers won one of the industry’s top Pride in the Job awards, an indication of the quality of work that is achieved with a Jones Homes property. The Emerson Group owns and manages a commercial property portfolio with in excess of £1bn. Choose a Jones Homes development in this area.